In the ninth and tenth centuries, the Vikings created an unrivalled cultural network that spanned four continents. Adventurers, farmers, traders, conquerors and sailors, the Vikings were both peaceful and fierce, fighting or bargaining their way through as far as Constantinople in the East, North America and Greenland in the North, the British Isles in the West as well as into the Mediterranean. Throughout their existence, the Vikings encountered a remarkable diversity of peoples and inhabited an expansive and changing world. This beautifully illustrated book explores the core period of the Viking Age from a global perspective, examining how the Vikings drew influences from Christian Europe and the Islamic World and how they created a lasting historical impact on our world today. Highlighting an extraordinary range of objects and featuring new discoveries by archaeologists and metal-detector users, the cultural connections between Europe, Byzantium and the Middle East are explored in absorbing detail. 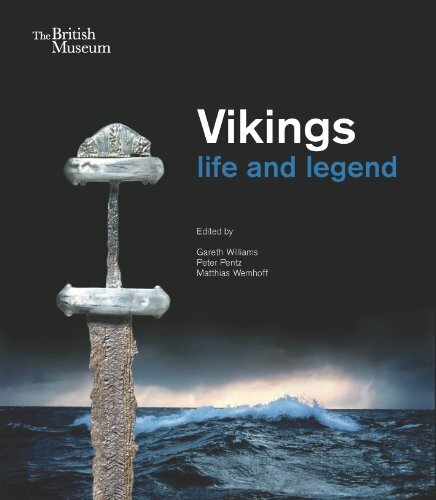 Vikings: life and legend is published to complement a major exhibition developed jointly by the British Museum, the National Museum of Denmark, Copenhagen and the Museum for Prehistory and Early History, Berlin.